Pick Block Plus is a lightweight, clientside mod that significantly improves the vanilla pick block function. After using the Pick Block Plus keybind on a block, if you have the block anywhere in your inventory, it will be moved to your currently selected hotbar slot -- unlike in pre-1.9 vanilla, where the block must be in your hotbar for this to occur. After using the keybind on a block, if you do not have the corresponding block anywhere in your inventory, but you do have a "broken state" of the block, it will be moved to your currently selected hotbar slot. 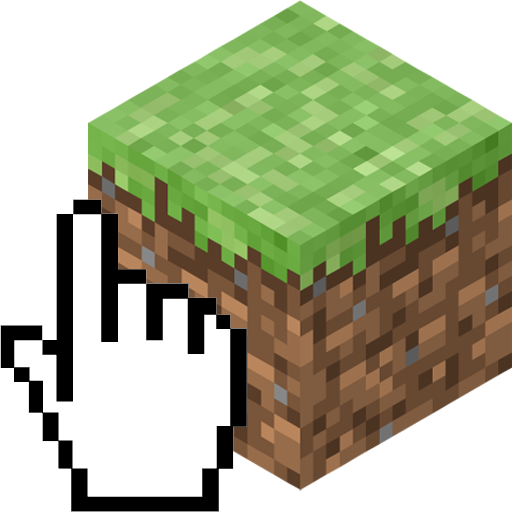 Examples: dirt from grass, cobblestone from stone, etc. After using the keybind on an entity, if you have a spawn egg for the entity anywhere in your inventory, it will be moved to your currently selected hotbar slot. After using the keybind on a block while sneaking, the most efficient tool to break the block will be moved to your currently selected hotbar slot. After using the keybind on an entity while sneaking, the item with the highest attack damage in your inventory will be moved to your currently selected hotbar slot. If two or more items share the highest attack damage in your inventory, the item with the higher attack speed will be moved. After double-tapping the keybind while sneaking, it will behave as it would without sneaking. In creative mode, the keybind will function as it normally would, and will place the corresponding block or spawn egg in your currently selected hotbar slot. NOTE: Do not install this mod on a server! This mod is clientside only! It duplicates "ItemPhysic Full". Sorry man.